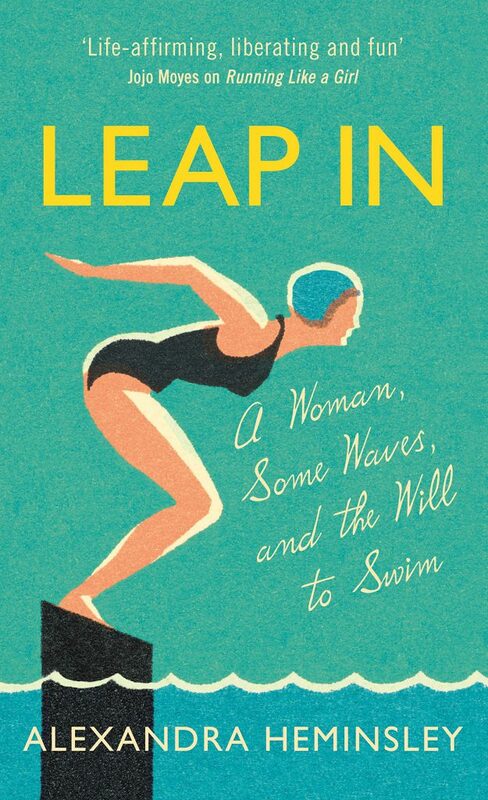 Leap In, my memoir 2017 about swimming is available now. Alexandra Heminsley thought she could swim. She really did. It may have been because she could run. It may have been because she wanted to swim; or perhaps because she only ever did ten minutes of breaststroke at a time. But, as she learned one day while flailing around in the sea, she really couldn’t. Believing that a life lived fully isn’t one with the most money earned, the most stuff bought or the most races won, but one with the most experiences, experienced at the fullest, she decided to conquer her fear of wild swimming. From the ignominy of getting into a wetsuit to the triumph of swimming to Ithaca, Alexandra learned to appreciate her body and still her mind. As it turns out, the water is never as frightening once you’re in, and really, everything is better when you remember to exhale.